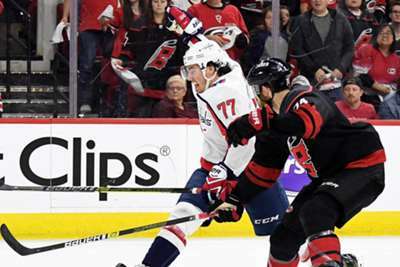 Alexander Ovechkin led his Washington Capitals to the Stanley Cup Finals after a 4-0 victory over the Tampa Bay Lightning in game seven of the Eastern Conference finals. Washington will now move on to face the Vegas Golden Knights, who got to the final by taking down the Winnipeg Jets in five games. This game was simple. Ovechkin was not going to allow the Capitals or their fans to ever believe they could lose. He came out and scored in the first 62 seconds of the game to prove his point. Then, on the Capitals' second goal, Ovechkin put a big hit on Steven Stamkos which resulted in a turnover and led to an Andre Burakovsky goal. That little bit of insurance really allowed Washington to relax and truly begin to believe. 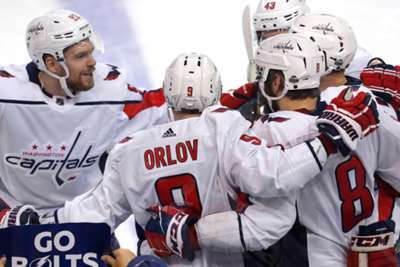 Ovechkin had never been to a Stanley Cup Finals before Wednesday and now he is one of the biggest reasons Washington are heading back to the championship round for the first time since 1998. Nikita Kucherov is the favourite to win the Hart Trophy this year after a 100-point season, but he was not at his best when the Lightning needed him most. Kucherov finished with just one goal in the Eastern Conference finals and came up empty in game seven on Wednesday. Kucherov's only goal in the entire series came on a power play. He did not put one shot in the back of the net at even strength over the entirety of the seven games. For an MVP candidate the Lightning needed much more. There is a reason the Capitals were thrilled to get Burakovsky back after he sustained an injury which forced him to miss the entire second round of the playoffs. He is a talented scorer who is a vital part of the Capitals' depth scoring 12 goals and adding 13 assists on the season. On Wednesday, he was there when Washington needed him the most. He scored the second and third goals of the game for the Capitals – first giving the team some cushion, and then ripping out the Lightning's heart.The 23-year-old scored two goals in a game just once during 56 games of the regular season, so to put two shots in the net in a game the Capitals had to have truly cements him in Washington postseason lore.